In episode 9, Psychic Medium, Marilyn Painter, gives us everyday tips and techniques for using our own psychic ability to help us shop, save money, and even getting a great parking spot! Have you been to a psychic or medium recently? Are you seeing validations left and right? Have you found someone with such a gift that you have little doubt in their ability? Does this person deserve some kudos or perhaps a testimonial? Would anyone find it useful if we compiled a list of recommended and reputable psychics/mediums that you have had personal experience with? My suggestion would be to leave the person’s name or business, the general geographic area, and a website (if available) in the comment section below. I’ve decided that for this post I will only accept positive comments and recommendations. Also, in order to protect the privacy of those individuals, I will not publish phone numbers or personal e-mails. Several of my readers are of the psychic variety, so shameless, self-promotion is welcome. No personal phone numbers, or e-mail. Let’s get this list started. Maybe we’ll create a great resource! I’ll go first! 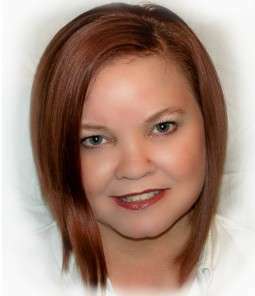 My recommendation: Marilyn Painter, Psychic Medium and Spiritual Counselor, Ahtah Sanctuary, St. Louis, MO area. Testimonial: I have learned so much in my readings and classes with Marilyn. My experiences with Ahtah Sanctuary have truly changed my life! I want to encourage anyone who feels they are ready to open themselves up for more love and light to make an appointment or sign up for a class today! Thank you, Marilyn! Not a lot of structure today. I’m just going to blab a bit. Care to listen? Currently I am reading We Don’t Die: A Skeptic’s Discovery of Life After Death by Sandra Champlain, one of the books from my Five Books for Summer 2013. I just finished a section that the author wrote about her journey into remote viewing, and bells went off in my head (not the paranormal kind) telling me that this was a great topic for a blog! According to the International Remote Viewing Association (IRVA) website, Remote Viewing is the “mental faculty that allows a perceiver (a ‘viewer’) to describe or give details about a target that is inaccessible to normal senses due to distance, time, or shielding”. This is a practice that can apparently be learned by anyone and does not require a psychic or medium because it doesn’t involve channeling or the help of a spirit entity of any kind. It is also different from the practice of astral travel or astral projection because a “viewer” apparently “remote views” in a fully aware and awakened, conscious state. Remote viewing doesn’t have to be what a group of people do in a secret room while trying to obtain secret information from other countries, but can also simply be trying to correctly identify what’s in your mailbox before opening it, or even describing the details of the next page in a magazine before flipping it. In reading both the author’s suggested exercises and the “how to” link from the IRVA site, I was reminded of the exercises in the books Astral Projection by John Magnus and definitely Know Yourself by Patricia Hayes. When I read Astral Projection a few years ago, I remember very clumsily attempting to astrally get out of bed (without the use of my body, of course) to identify objects on my night stand and attempting to read out of the book that was there. I remember even being disturbed by the fact that it was possible for anyone to astral travel into my home. What?! I wasn’t very far into my spiritual shift at that time and so this book seemed really heavy and far out. I do recall having some intense dreams during the time that I read this book, but I just wasn’t ready for astral travel yet. It’s on my list of books to reread at some point. Know Yourself is out of print and very hard to find (check for used copies on Amazon or eBay), but it’s almost written as if it’s a text for a course on psychic development. Patricia Hayes collaborated and learned from Arthur Ford in the 1960s and 70s and has since founded Delphi University with her husband. Delphi offers courses in Healing, Metaphysics, Psychic Training, Transpersonal Psychology, and Spiritual and Intuitive Development. Boy would I LOVE to get my hands on any of her Delphi texts or materials. In thinking about remote viewing, I also think back to exercises from the channeling course I took from psychic medium Marilyn Painter. Trying to correctly identify items in a paper bag. Holding a stone or crystal and feeling and describing the energy it has… psychometry stuff. I can’t say that I’ve been incredibly successful with a lot of things like this that I’ve researched and tried over the last several years, but remote viewing is one that seems so interesting. Of course, in books they make these things sound SO SIMPLE! Even so, I think I’ll find a partner and experiment sometime. I’ve strayed a bit from astral travel today… I followed my mind where it wanted to go. Want to get right back on topic? Check out the video below. It is a video about remote viewing that can be found on the IRVA website. But before I go… have you experienced or tried remote viewing? Below is a guest post by medium, Marilyn Painter, that I am excited to present to you. See my last post for an introduction. Also, I encourage you to check out her Complete Data Comparison Grids linked in the post. Enjoy! Medium, Marilyn Painter, during our second séance. The primary reason why most conduct a séance is to receive physical concrete evidence that spirit exists, is with us, and can communicate to us. Usually we hope to hear an audible voice, an out of the ordinary knock or sound, see an object move, or an apparition. However, when we have predetermined expectations or limitations on what we would consider evidence, we could miss a profound display of evidence that is grander than any of our conceptions. On Saturday, September 29, 2012, Patrick Keller, founder of Missouri Spirit Seekers Paranormal Investigators, a male and female sitter, and me conducted a séance at Ahtah Sanctuary Holistic Center. During this séance, one at a time, we called upon the Divine Consciousness of Humanity, divine spirit of Mahatma Gandhi, and finally the Angelic Realm. Our intention was; if it is in divine will, to bring forth, here and now, physical evidence of their existence and any messages they felt beneficial. As I set to organize my thoughts to write this post, I was guided by spirit to recall the last message received that came from communications in the Angelic Realm at this Séance, “But it kept saying and showing me the eye is very important… “to see through” … I couldn’t get it all. There’s something very strong about the eye and the deep seat of the soul.” At the time of the Séance, I didn’t understand the message “to see through/eye/deep seat of the soul”. But I get it now!!! Bypass the physical eye for evidence that spirit exists, is with us, and can communicate with us. Enter into the spiritual eye of the soul. What I know through experience, spirit communicates energetically in frequencies. The spiritual eye of the soul entails clairvoyance, claircognizance, clairaudience, clairsentience etc. When I do soul readings for people or readings for those who want to hear from a loved one in spirit, most all are hoping there is some information revealed about them or the loved one that they know and I couldn’t know for evidence that spirit is communicating to them through me. Validation of a reality or experience grows solid when more than one has a similar knowing, reality or experience. Therefore, validation of spirit communication during Séance 2 is stronger if two or more have related experiences during communication efforts. In keeping with the guidance of the Angelic Realm, I bypassed physical evidence and looked into similarities in Spiritual Eye of the Soul experiences. A video still from our second séance. Patrick Keller sent me a transcript of the audio recordings from Séance 2. I compared all of the sitters’ descriptions of their sensory experiences during all three communications of Séance 2. Even though the mediumship skill levels of 3 out of the 4 sitters ranged from none to minimal experience, there was evidence of two or more related experiences during all 3 communication efforts, especially during communications with Mahatma Gandhi. Patrick: Mentioned getting tingly and itchy around the throat. Sitter 1: Reported feeling heavier, specifically in the shoulders. Sitter 2: No input; tired perhaps. 56:35 in PX-720, 56:59 in PX-820 – Some kind of bell or chime or clang sound in the background. Much louder in the PX-720. 1:00:47 in PX-720, 1:01:11 in PX-820 – Same bell/chime/clang sound. And again, it was picked up louder in the PX-720. Trifield Meter (left) and Mel Meter (right) with temperature and EMF readings. **Patrick here… since this transcript and analysis of the audio was typed up, I have completed all video analysis. The camcorder focused on the Trifield meter showed that there were never any readings, and the squeal/alarm never sounded. It is unclear what was making this noise. 1:52:47 in PX-720, 1:53:11 in PX-820 – More Trifield sounding noise. Could these noises possibly be a squeak of Marilyn’s chair since the recorder is right behind it? I can hear it softly in the distance in the PX-820. But the Trifield was right next to the PX-820 so I know that’s not what it was. I (Marilyn) don’t believe the quick squeal noise came from my chair. The chair I was in is a wing-back chair of solid wood and very fluffy cushion. I have never heard it squeak. If it was from the squeak of my chair, I then wonder why my chair squeaked every less than 5 minutes only during the Mahatma Gandhi portion of the Séance (except a final squeak right as we concluded the Séance but different in that both PX-720 and PX-820 picked it up)? When I am in a trance, conducting mediumship, I feel Spirit communication energy/ frequency come through my back at the spine and also the back top of my head like a current. The PX-720 was on a table closely and directly behind my back where this energy comes through. The squeal noise could be the sound of this energy coming through. When the sound was picked up in both PX-720 and PX-820 at the conclusion of the Angelic Realm communications, the PX-820 could have picked up the sound of this spiritual energy because the communication energy was quite expanded at the time, and not during communications of Angelic Realm because my spirit left the room and traveled there and received communications there. Overall, I am ecstatic with the results and experience of this Séance. Thank you Patrick Keller and the Missouri Spirit Seekers Paranormal Investigators for this amazing opportunity. See through the physical eye and experience with the Eye of the Soul. Back in September, Marilyn Painter and I put together two séances as experiments. With Marilyn’s guidance as a medium, I took the lead in planning and designing the first séance, and she orchestrated and planned our second. Though both séances were different, our goal for each of them was to hopefully document and capture physical phenomena. Analysis of our first séance (often referred to as “Séance #1) is complete, and in October I blogged about that report and included video highlights. Sometime in the next day or two I’ll be posting a guest blog post by Marilyn. As I have completed analysis of all audio, video, etc. of our second séance, I wanted to give her the opportunity to introduce, discuss, and interpret the results of that evening. It is a known fact that to have a successful séance you need a great medium… and I can’t wait for you to read her thoughts. This report has been completed for months but I’ve just now gotten to where I could get the online version done. I learned so much from this investigation. This was my first experience investigating with friend and medium Marilyn Painter. In fact, she invited me onto this case. It was definitely an interesting evening. Thanks, Marilyn! Click HERE to get to the report. Or you can visit www.MoSpiritSeekers.com and click on “Investigation Reports & Evidence” from the menu on the left. Friend and medium Marilyn Painter during the 8/10/12 investigation. It is finally time to reveal the highlights of our two and a half hour September 15, 2012 séance. I’d like to thank Marilyn Painter at Ahtah Sanctuary Holistic Center in St. Peters, Missouri for sharing her time and talents with us for this project. If you haven’t been following along, here is some of the previously shared information. Marilyn beautifully announced our intention that evening with the following words. Our invited spirit pioneers included Sarah Estep, Thomas Alva Edison, Helen Duncan, Konstantin Raudive, and Eileen Garrett. Throughout the two and a half hour séance, I documented changes in EMF (electromagnetic field) and temperature. Also, along with recording the evening with multiple video cameras, I had two digital audio recorders in the room. My intention was to hopefully capture some EVP (electronic voice phenomena) as well. It is important to note that there were absolutely no EMF readings during the séance. I spent a lot of time charting temperature changes in the room and it seemed to rise and fall predictably and gradually as the air conditioning in the room turned on and off. I do not feel like any of the temperature changes were out of the ordinary or “paranormal”. And, although I have a few artifacts of what could possibly be spirit voices captured on audio, I am not comfortable with making any claims about them or sharing them with the public. At least not now. …with an introduction and information on how we prepared for the evening. This was shared previously. I welcome your thoughts and comments. Please enjoy! If you enjoyed following this séance, stay tuned for information on the séance we had on Saturday, September 29, 2012.